University of South Dakota issued the following announcement on March 2. The USD men and women's basketball teams play their quarterfinal match-ups Saturday in Sioux Falls. VERMILLION, S.D. 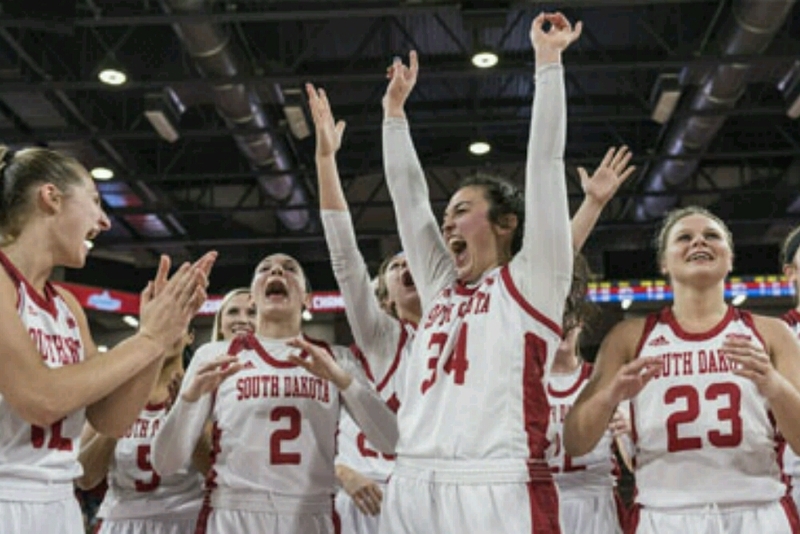 – The University of South Dakota men and women’s basketball teams will compete at the Summit League Championships at the Denny Sanford Premier Center in Sioux Falls March 3-6. The No. 1 ranked Coyote women face Fort Wayne at noon Saturday in the Summit League Tournament quarterfinal. The team swept the Summit League regular season to earn the program's third title in four seasons. The Coyotes racked up nine postseason Summit awards including USD head coach Dawn Plitzuweit garnering Coach of the Year honors. Senior guard Jasmine Trimboli racked up Defensive Player of the Year and Sixth Woman of the Year while making the all-league second team, junior guard Allison Arens and sophomore guard Ciara Duffy were named to the all-Summit first team, junior guard Jaycee Bradley and sophomore guard Madison McKeever were honorable mention selections, and freshman guard Chloe Lamb made the all-newcomer team. The USD men's basketball team faces Omaha at 8:30 p.m. in the Summit League Tournament quarterfinal. The Coyotes enter the tournament as the No. 2 seed while Omaha is the No. 7 seed. South Dakota is 24-7 overall and is led by two-time first-team all-Summit League performer Matt Mooney. The junior guard averages 18.2 points per game, a point total that increased to 19.8 points per contest in league action. The Coyotes also receive all-league contributions from Tyler Hagedorn and Trey Burch-Manning.